Lots of progress since my last post. I got the plate, already placed most of the components, finished software and just today I made some final adjustments to PCB. That board is really awesome, sometimes I feel it’s not worth even designing anything since the board alone looks so good with anything engraved on it. 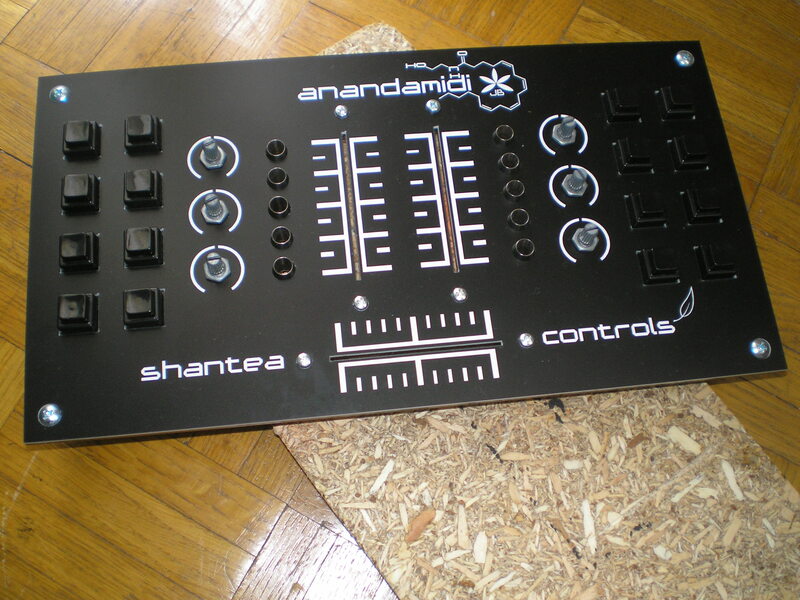 The fader screws in this picture were not actually those I prepared for Anandamidi. They’re only here since at the time I did not have them yet. LED holders are here, but they don’t contain any LEDs yet. Buttons were originally mechanical buttons, but not anymore. More on that later.